Welcome to the WriNoShores home. Many years ago, fellow NaNo participant Lynne held me down and tortured me casually suggested that I become the Region’s Municipal Liaison, as our former ML (and wonderful person in general, Liz) abandoned us for the West Coast moved back home with her new baby. Two years later and much procrastination from me we started up a year-round writing group as requested. 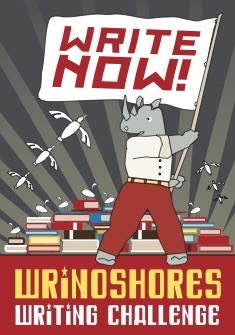 The WriNoShores meet four times a month, every first and third Sunday at Atomic Cafe in Beverly, hosted by Julia Mohler (our official ML for NaNoWriMo, 2018) 11am-3pm. And every second and fourth Tuesday of the month at Lynne’s House in Haverhill MA 6-9pm. I will update this post as needed and I will totally let y’all know if I do (Psst-she doesn’t, see addendum below).